Kareena Kapoor Khan and Alia Bhat have sure come a long way in the Bollywood industry. But have you ever noticed how similar and conflicting they are, both in real and reel life. Both have got this perfect bubbly personality which is often reflected on screen as well. These two also have a huge filmy family background but then again this has never got to their head and they both handle their careers very professionally. While Kareena is often seen making controversial statements, Alia doesn’t care when any journalist mocks at her. Remember how Kareena addressed Katrina as her bhabhi (sister-in-law) on Koffee with Karan show when she was alongside Ranbir Kapoor (wink!). Both Karan and Ranbir were speechless at that moment. She was much upfront about the matter than Ranbir Kapoor himself. Poor Alia often gets teased by journalists and some others for her one wrong answer (that she mouthed so confidently) on Koffee with Karan quiz. But she doesn’t give a damn and often comes up with an equally befitting reply. She even went on to make “Genius of the Year” video and took the matter sportingly. 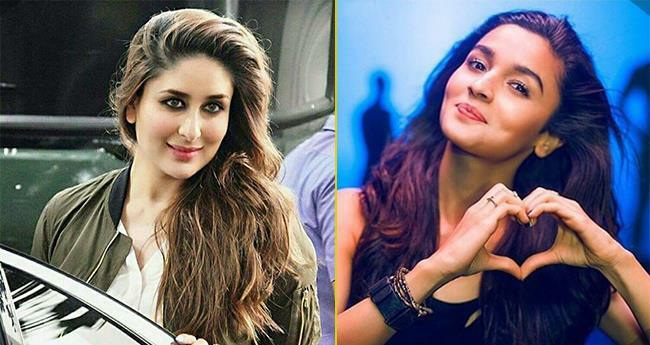 Pooh from Kareena’s superhit movie’ Kabhi Kushi Kabhi Gham’ and Shanaya from Alia’s debut film ‘Student of the year’ virtually screamed out the similarities in their characters. We bet it was a cake walk for these two gorgeous ladies to bring the character to life since it was overflowing with their personality. Their inner fashionista must have thanked Karan Johar for these movies. They both are shown flaunting branded fashion accessories from clothes to handbags to shoes, you name it! Kareena and Alia literally did an intro song in their respective movies where they show off their whole wardrobe (Rolls eyes!). Not to mention their quirky and sarcastic replies to their family and friends, that was no short of the real version we saw of them on Koffee couch. While we are aware of Kareena’s fights with her contemporaries, Alia is completely opposite in this department. Kareena a few years back had brawls with Priyanka Chopra, Dia Mirza, Bipasha Basu, and few others. She even had allegedly called Bipasha, Kaali Billi (Ouch!). Did you know she even had a tiff with Karan Johar, just a few years into her career? We are so relieved to tell Alia is nothing like this. She tries to maintain a very cordial relationship with everyone. 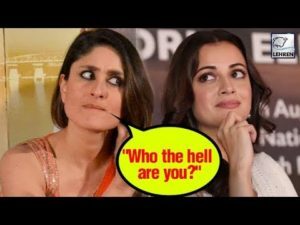 People thought there would be some clash between her and Parineeti Chopra. But that never happened. (Hmm..)These two surely are entertaining! Anyway, we love these two beauties as long as they keep up with this personality.